Making your life easier one platform at a time. Who they are: Simplify Valet Storage is a full-service storage company. We pick up, store and return your belongings within the five boroughs. You can track what you have stored online. When you want your items back, we’ll return them within 3 hours of your request, all starting at $30/month. What you get: Members can use code BOND30 to get $30 off their first order. Who they are: MOO loves great design and believes it can work wonders for every business. That’s why MOO makes it simple to create beautiful, expertly crafted business stationery and promotional materials that’ll help you start conversations, open doors and strengthen relationships. What you get: Members receive 30% off all orders by signing up to our Bond Collective account following this link. MOO has also put together a comprehensive guide to ordering which can be found here. Any questions, please reach out to Sienna Senyo at sienna@moo.com. Who they are: Payroll, benefits, HR, and compliance — all in one place. Justworks simplifies your business's back office complexities, so you can work fearlessly. What you get: Members receive one month free with Justworks by following this unique link. Who they are: Swag.com provides custom promo products that people actually want to keep. Swag.com products include: apparel, notebooks, drinkware, pens, bags, among many other products. What you get: Members receive 15% all orders with code BondVIP. Who they are: Bench is the online bookkeeping service for entrepreneurs. They give you a team of bookkeepers to do your books for you, and simple, elegant software to track your finances. What you get: Bond Collective members receive 20% off your first 6 months of standard bookkeeping by signing up via this link. Who they are: MeetEdgar is a social media tool that manages itself. The tool allows you to build a online library of social updates and will post/re-post content automatically. Who they are: Jakt is full-stack product studio offering design, development, business strategy and growth marketing to startups and large enterprises. Who they are: UrbanStems offers seasonal & trendy bouquets and non-floral gifts starting at $35! Their goal is to #sendhappy by providing the best gifting experience. They source their flowers directly from Central America, cut-out the middle-man, and deliver responsibly-sourced flowers directly to your door. What you get: Members can use code BOND15 for 15% off your first order at www.urbanstems.com. Delivery is free, as always! For more information regarding our corporate offerings, please contact david.roumani@urbanstems.com. Who they are: We understand that each and every child is different, so finding a well-suited sitter is key. Cue our curated match service. Within the app you can tell us your child’s interests and special requirements plus choose the 5 personality traits that are most important to you in a sitter. That way a sitter is selected based on the criteria that you set. It’s not just about finding an available sitter, it’s about finding the right sitter. What you get: Members receive $50 off when you download the app for on demand, onsite child care. Who they are: NYC's #1 Eco-friendly Furniture & Junk Removal company specializing in donating, reuse and recycling! What you get: Members receive 10% off recycling services. 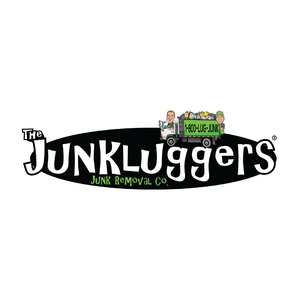 Email lon@junkluggers.com for more information. Who they are: CoverWallet is the easiest way to understand, buy and manage insurance for small businesses. CoverWallet delivers a seamless user experience while offering savings, customized coverage and best-in-class service to their customers. What you get: Members receive exclusive pricing on graphics, business cards and marketing collateral. Visit http://land.coverwallet.com/bondcollective for more information. Who they are: The LawTrades team is focused on utilizing technology, design, and data to make legal services more accessible. We are a group of technology and legal professionals who looked at the current state of the US legal industry, got frustrated by the inefficient consumer experience, and decided to do something big about it. What you get: Members save up to 60% over law firm rates on business legal projects. Email Asish for more information aw@lawtrades.com. Who they are: Box&Co is an on demand storage company. We pick up your items, store them, and we will bring them back to you whenever you need them. What you get: Use code BOND at checkout to receive 10% off of all storage fees. Who they are: TravelBank is a modern travel, expense and rewards app built for small and medium sized businesses. By providing real-time budgets that calculate the all-in cost of a trip, and by letting travelers keep up to 50% of any savings (tax free) against that estimate - our customers can reduce T&E expense by up to 35%. What you get: 20% off your first flight booked (up to $200) and access to our 24/7 Travel Concierge team for your business travel needs. To redeem promotion, please contact Carly. *Companies that spend $500k+ on travel, please contact Cameron for an additional offer. Who they are: Keenobby is a global community of inspiring and talented creatives. Our mission is to empower people to fulfil their passions and spend more time doing what they love. We are committed to supporting and connecting independent artists, creators and makers from around the world to work and grow together. What you get: Members receive 20% off all classes by using promo code BOND at checkout. Who they are: We offer a full range of legal help for creative businesses and individuals. We're experts when it comes to tech companies, startup law, online & interactive entertainment, indie creatives, and game developers. What you get: Members receive free initial consultation and 20% off of the first two hours of standard rate when you email chris@chrisreidlaw.com and include "Bond Collective" in the subject line. Who they are: Does moving really have to be this hard? Of course not. With Unpakt just, Compare. Book. Move. Real Prices, Right Now. Just tell us what you're moving and we'll figure out how much it will cost. Instantly with exact prices and no surprises. Who they are: Brooklyn PC Clinic is a computer repair and support service located in the Carroll Gardens/Gowanus area of Brooklyn. We are committed to providing prompt, reliable, and effective computer support. Response times are fast and appointments are typically scheduled for the same or next day. What you get: Members receive 15% off computer support including data backup, hardware repairs and malware removal. Who they are: We are NYC's premier GREEN moving company, providing local and long distance moves for residents and offices. Our trucks run on biodiesel, and we offer reusable bins. Our rates are affordable and the crews are top-notch. What you get: Free Use of Reusable Bins OR 10% Off Pack & Move. To redeem mention Bond Collective when calling to schedule the move.